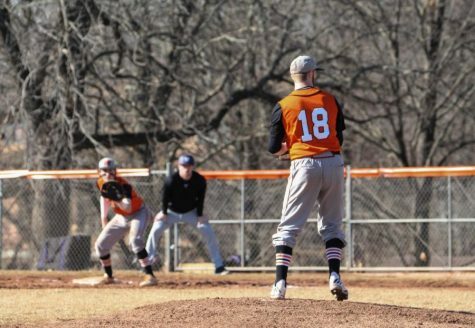 The baseball team’s season ended with back-to-back losses at the conference tournament in Joplin, Missouri. After winning the first two weekend games, the Wildcats lost on Saturday night and Sunday morning after holding early leads in both games. 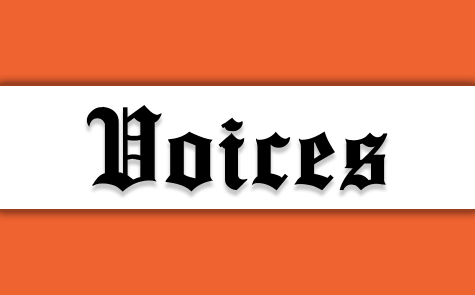 Baker started the conference tournament as the fifth seed and took on the MidAmerica Nazarene Pioneers in the opening game Thursday. 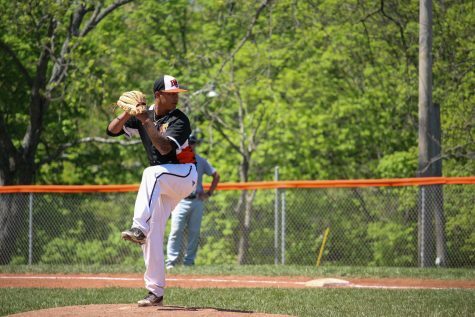 Senior Seth Jones started and threw eight innings, allowing only three earned runs and keeping the game within reach. 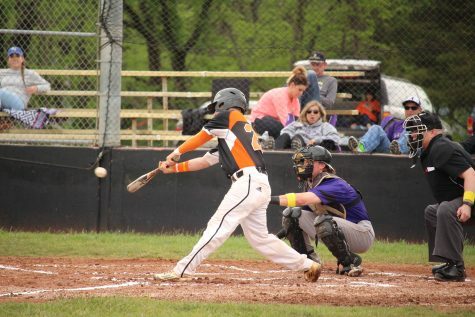 The Wildcats rallied for two runs in the ninth inning to tie the game 4-4 after a bases-loaded walk to senior Ethan Jacks and a sacrifice fly by senior Cort Brennan. In the bottom of the 10th, junior Wes Summers singled with two outs and was pinch run for by sophomore Jamaal Rashad. Rashaad stole second base and advanced to third on a wild throw. Freshman Max Taulbee then lined a single up the middle to give the Wildcats the walk-off win, 5-4. 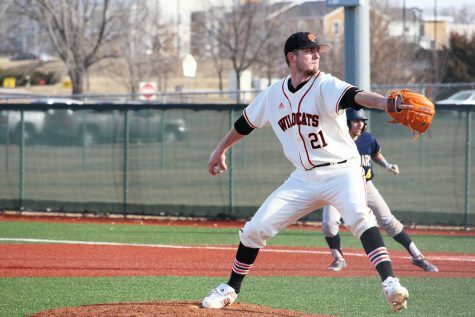 On Friday Baker matched up with Peru State, a team the Wildcats swept in a four-game series on April 16 and 17. Leading 5-4 after four innings, the Wildcats exploded for seven runs in the fifth inning and four runs in the seventh to create a comfortable 16-6 lead. The Wildcats won 16-7 and were into Saturday without a blemish on their tournament record. Saturday night Baker faced off with the No. 2 seed, Central Methodist, after CMU won its first two games over Missouri Valley and Grand View on Thursday and Friday. Saturday night’s winner would advance to the championship series and would have to be beaten twice in a row to be eliminated. 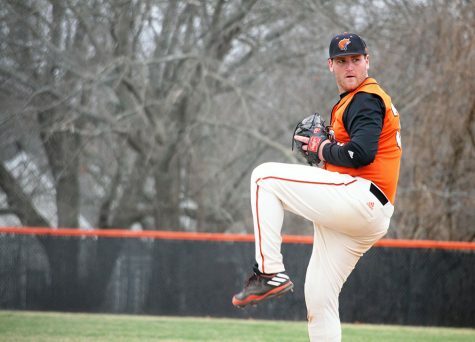 The game was tied 6-6 heading into the eighth inning before Baker scored three runs in the top half on hits by seniors Travis Johnson and Austin Bass. With Baker holding a 9-6 lead and only six outs left, the Eagles responded with six runs in the bottom half of the eight. A late Baker rally fell short when, with the go-ahead run at the plate, Taulbee grounded out to the shortstop. 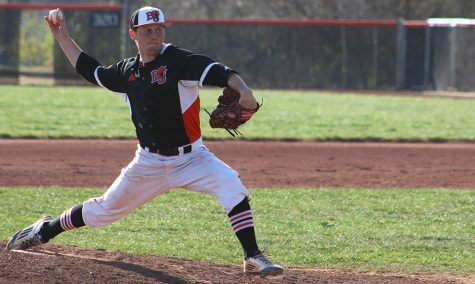 Baker lost 12-9 and had to turn around and play MNU in an elimination game at 10 a.m. Sunday. 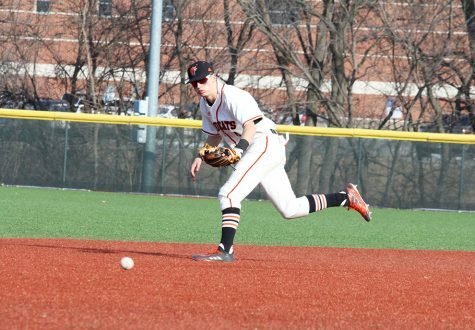 The game was tied 7-7 going into the seventh inning when the Pioneers busted it open with four runs off Baker sophomore Jack Mayes. MNU would add one more security run in the eighth and held on for a 12-7 win to advance to the championship series. MNU lost to Central Methodist in the first game. The Wildcats’ deep tournament run put their final record at 24-31 in head coach Ryan Goodwin’s first season, seven wins better than last season’s 17-33 record. Baker graduates five hitters who batted more than .300 on the season.